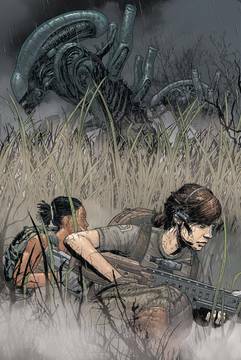 As Amanda Ripley and Zula Hendricks deal with failing pressure suits and an orbital tumble, a Weyland-Yutani experiment unfolds on the surface of the moon below. A thousand kidnapped colonists' lives hang in the balance. Amanda Ripley Confronts Weyland-Yutani's nefarious Xenomorph experiments!.